Musical theatre sometimes gets a bad reputation for being silly, campy and over the top. It takes a special musical to lean into that, embrace and challenge an audience to just enjoy themselves…while also proving just how sophisticated musical theatre can be while being silly. The thing is that pop music, like musical theatre, is a difficult art to perfect. 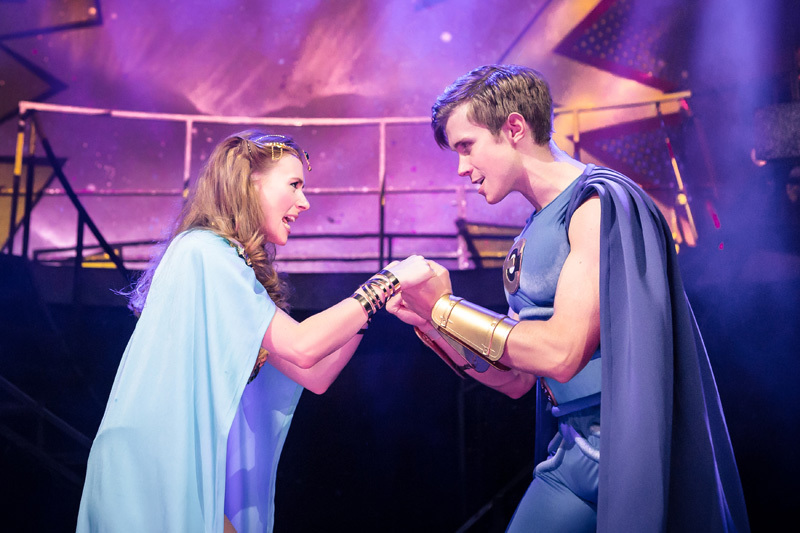 Pulling both together, and doing it so well is a stroke of, you’ve guessed it Eugenius. pop music as a genre is rarely recognised for its craftsmanship but Ben Adams and Chris Wilkins show here just what pop can do. 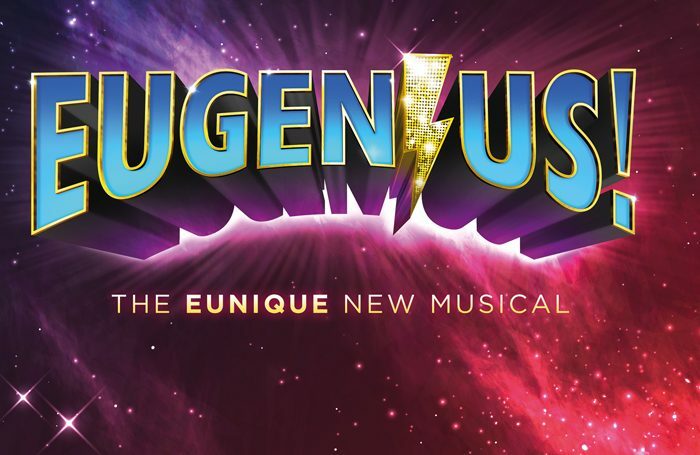 Eugenius manages that perfect balance of pop music and musical theatre- storytelling through song but with an infectious and catchy side. It’s an underrated skill, and alongside their witty book, it’s a sign of what great musical writing can be. But underneath all that it never stops having fun- which is the writing’s true charm. 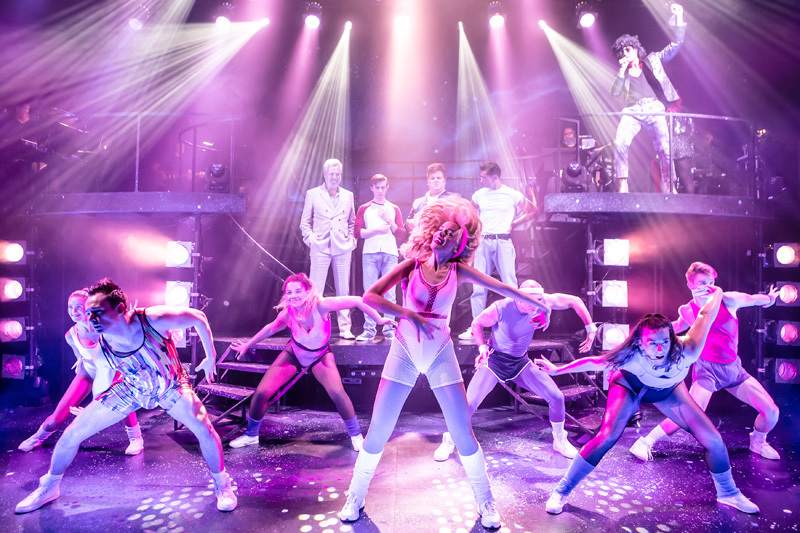 Eugenius is the Comic Book musical that tells its audience ‘Don’t reach for the stars reach higher’ a mash up of Sci-Fi, 80s Movies and pop music it’s a musical that takes hold with its sheer enthusiasm, and then proves it’s got a lot of heart too. 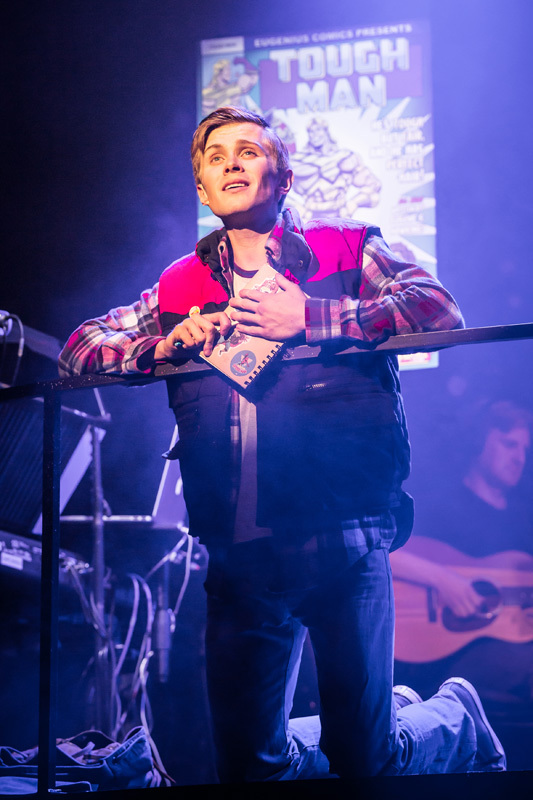 Following our geek (not nerd, the distinction is important) hero Eugene (Rob Houchen) as he sits in his bedroom drawing comics, that visit him in dreams and come to life before our eyes. His creation Tough Man (Simon Thomas) is a clean-cut hero- with perfect hair of course- whose one flaw is that he can’t touch women, despite his sidekick, the equally literally named Super-Hot Lady is of course in love with Tough Man (but also pretty tough herself). Eugene’s life gets sent into orbit (yes there will be more space puns) when Hollywood comes calling. Meanwhile, his creations appear to be coming to life, when Hollywood is visited by Tough Man’s twin Evil Lord Hector. It’ at this point, much like the movies it pays homage to it’s best not to think too hard about the specifics of the plot. Because like really great classic sci-fi, it doesn’t matter. What matters in sci-fi- an often-overlooked element- is the people we’re rooting for. And Eugenius has at its core, what every great musical needs: characters you love and are rooting for. Eugene’s geek-crew are a breath of fresh air for anyone who never got to see themselves in a musical as a kid. It’s like Grease if everyone was allowed to stay in their own clothes and still get the guy. It’s every American teen movie if we followed the far more interesting geeks than the cheerleaders (who appear here for one scene then disappear, because they’re far less interesting). Eugene is played with sweet earnestness by Houchen, failing to notice the analogies between life and art, while his best friend Janey (Laura Baldwin) is clearly hopelessly in love with him. But Eugene is also oblivious when his comic book characters start coming to life, so he can’t be blamed for missing a little thing like love. Flanked by his other sidekick Ferris (Daniel Buckley) – one of dozens of pleasing 80s film references-they are the geek trio against the jocks in high school, until Hollywood (and Evil Lord Hector) disrupt that life and our heroes have to save their friend. It’s all a very meta- plots within a plot of evil Hollywood geniuses, flanked by ‘real’ comic book evil geniuses, while the plot itself throws reference after reference at the audience. It could all become too much, but in fact in this genre, and done with such earnest sincerity it’s all utterly charming- if ultimately a bit confusing if you think too hard about it. Better instead then to enjoy the sci-fi in-jokes, 80s Movie references, and of course a Les Mis joke. And when mixed with pop-fuelled musical theatre numbers Eugenius is a fun filled and charming experience. The cast are equally infectious in their enthusiasm and they work as a brilliantly honed team. Simon Thomas gives as brilliantly deadpan performance as Gerhard/Tough Man and opposite him Emily Tierry’s boundless enthusiasm as Super-Hot Lady is a delight to watch. Also, scene-stealing funny is Scott Paige as Theo who can illicit howls of laughter with a flick of his scarf. The only quibble for the brilliant ensemble is The Other Palace doesn’t quite give them enough room to really show off their dance ability and the whole thing looks a little cramped. But above all there’s a real sense of this company being as ‘in on’ the joke, and the love of this piece as the fans returning for this second run. The music is equally unashamedly pop- and quite right too. But it’s also incredibly original and is specifically musical theatre pop- an important distinction. What Eugenius actually shows with laser precision, is what British musical theatre could be. The motto of ‘Don’t reach for the stars reach higher’ seems an apt one here. British Musical theatre writing falls behind that of our American counterparts all too often, not for lack of talent, but for lack of investment. That The Other Palace has seen the spark in this musical to give it not one but two chances to fly (yes, again) means it just might reach for those stars and higher. It’s got a dedicated following that looks set to grow. 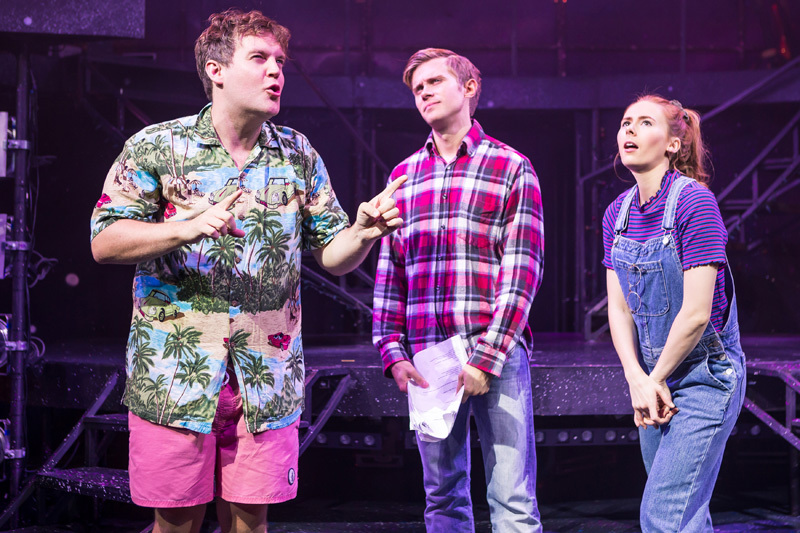 And rightly so, Eugenius is self-consciously joyful, silly yet full of heart and there’s something truly refreshing about a tongue firmly in cheek but heart firmly on sleeve musical. Aren’t we all looking for a Comic Book kind of love?